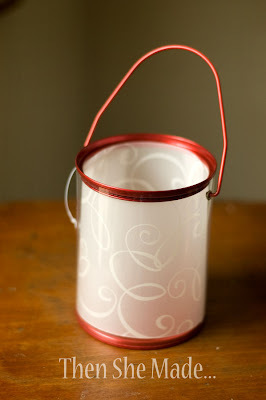 I was at Target a few weeks ago and found these pretty darn cute little paint cans in their dollar section. They are not very tall. They are clear and they are oh so cute. I had to have one. Really and truthfully, I was proud of myself for only buying one. Now though, I'm wishing I had bought more. You could use them for many different things. I chose to turn mine into indoor mood lighting. 1- Measure the height of your can. 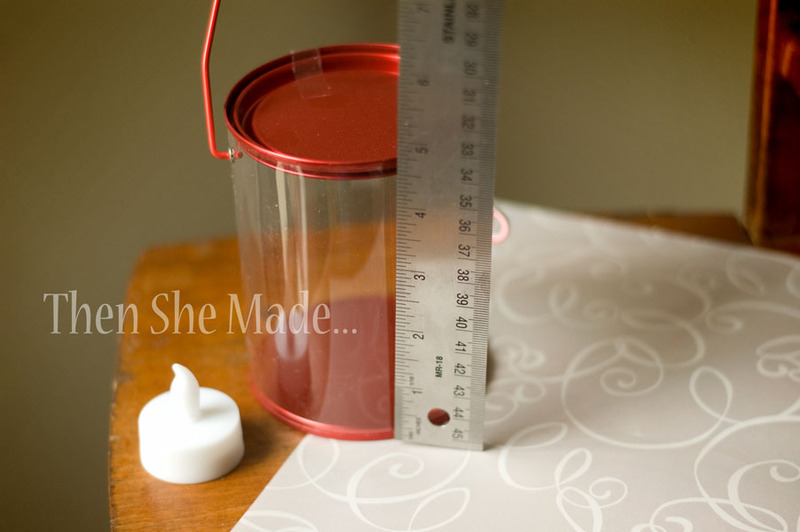 2- Cut your vellum so that it is the same height as your can. 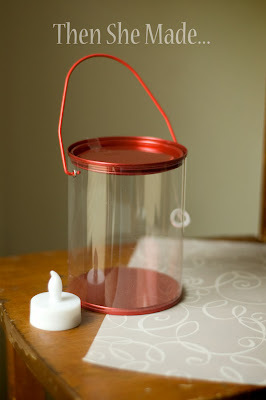 3- loosely roll your vellum up and place it inside your paint can. The ends with overlap slightly, that's ok. Because of the overlap I didn't need tape or anything. It just stayed in place on it's own. 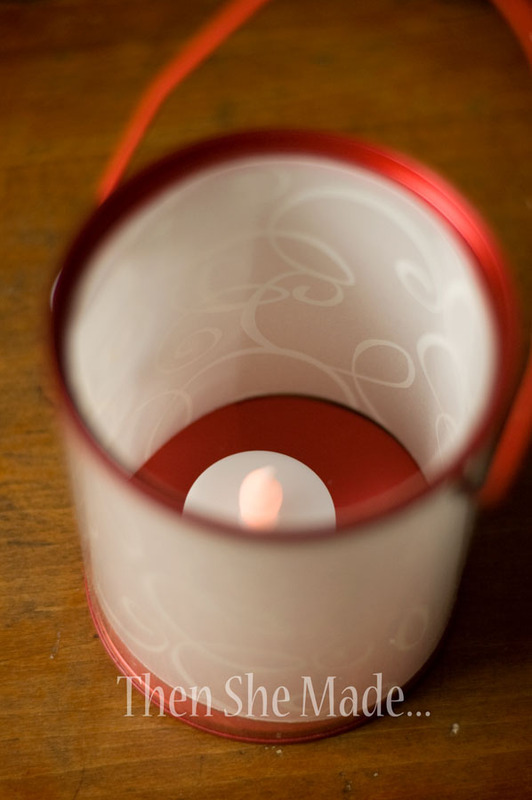 4- This isn't really a step, more of a reminder: DO NOT USE A REAL CANDLE! 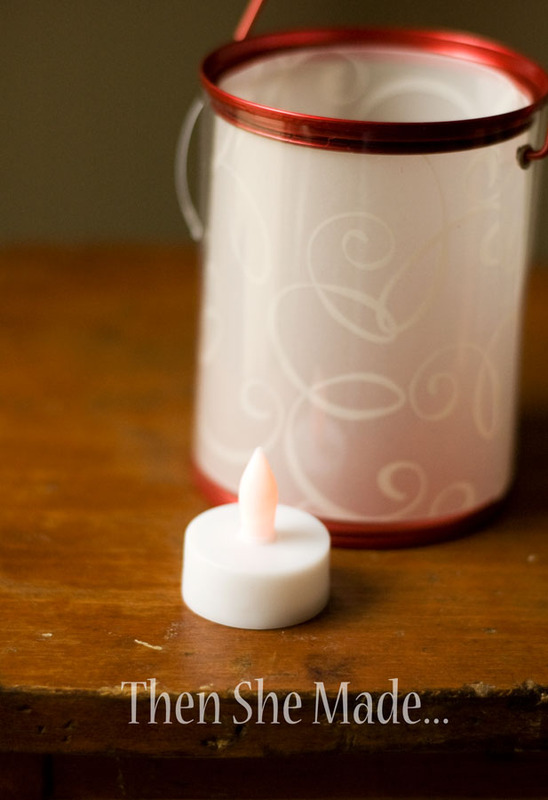 This little project is meant only to be used with battery powered lights. If you use a real candle you will most likely burn down your house so don't do it! 5- Add your battery powered light to the inside of your can and put the paint can lid back on. Technically you could be done at this point. Note: you can use more than one light inside. I used three because, while I like the soft light, I did want it to be a little brighter. Just a little! 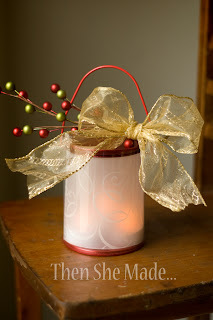 6- Add a little decoration and there you have it, a super simple way to make some nice holiday mood lighting. oh my gosh, guess what? I found these on the clearance sect of the ONE SPOT at Target yesterday! I was THRILLED bc when I read your blog, I had never seen them! 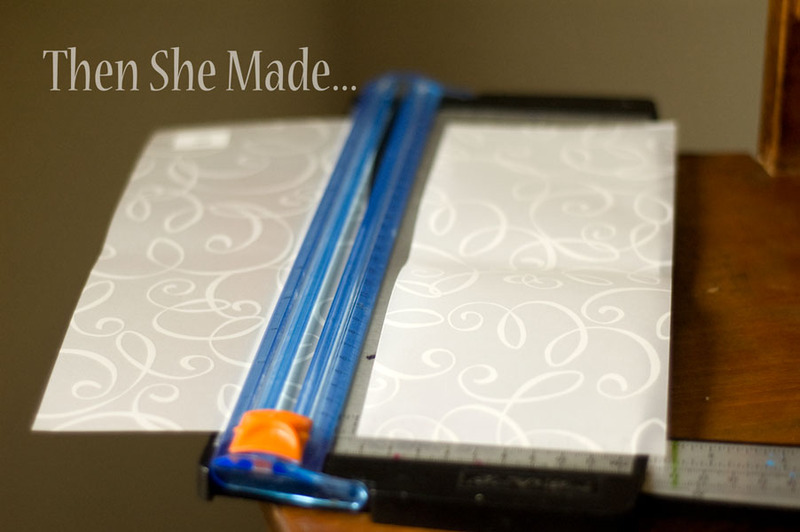 AWESOME hand crafted gift! TYSM! I had saved my cans to use next Christmas and then found velum with hearts on it to put in the can. So I decorated a few for door prizes for a bridal shower right before Valentine's Day. Thanks for the inspiration!